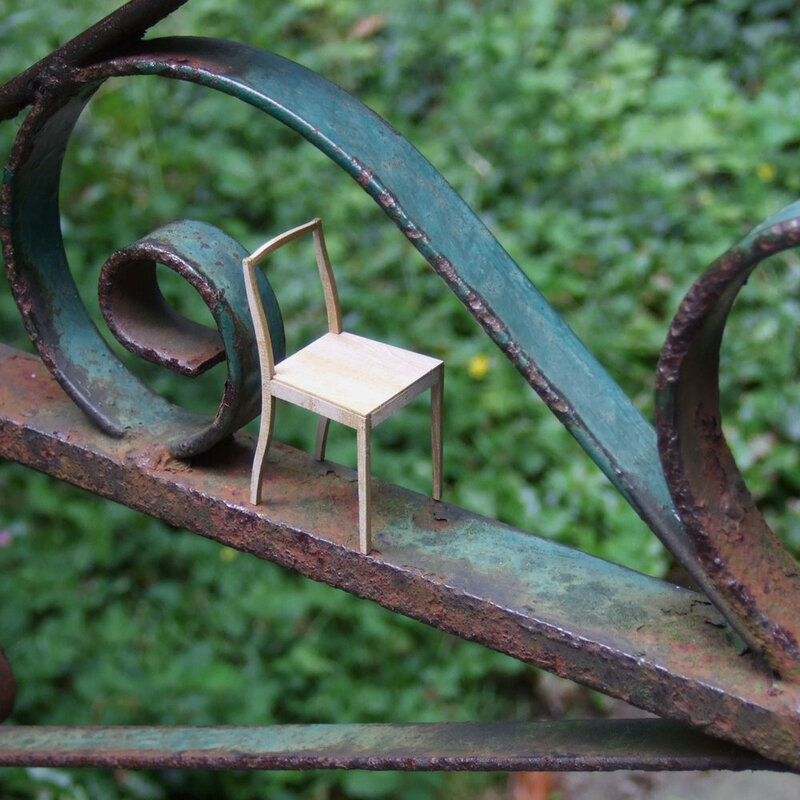 A flat printed material can be cut out and assembled on your desk top – then you realise there is a small diorama around it. Our mission as curators of the 1:16 Collection is to deliver this little wonder through a history of chairs and their associated interiors. It might be difficult to own the real historical chairs – but you can reconstruct a tiny corner of a room and enjoy the history of the chair and interior with 1:16 Collection. The simplest way to change the scale is by making it half. When you half a real object, it is 1:2. Then if you half it again, that is 1:4. If you half that one more time, it is now 1:8. Yes, then you half that object once more time, the result is 1:16. So, this scale is based on a simple four times of half-ing! 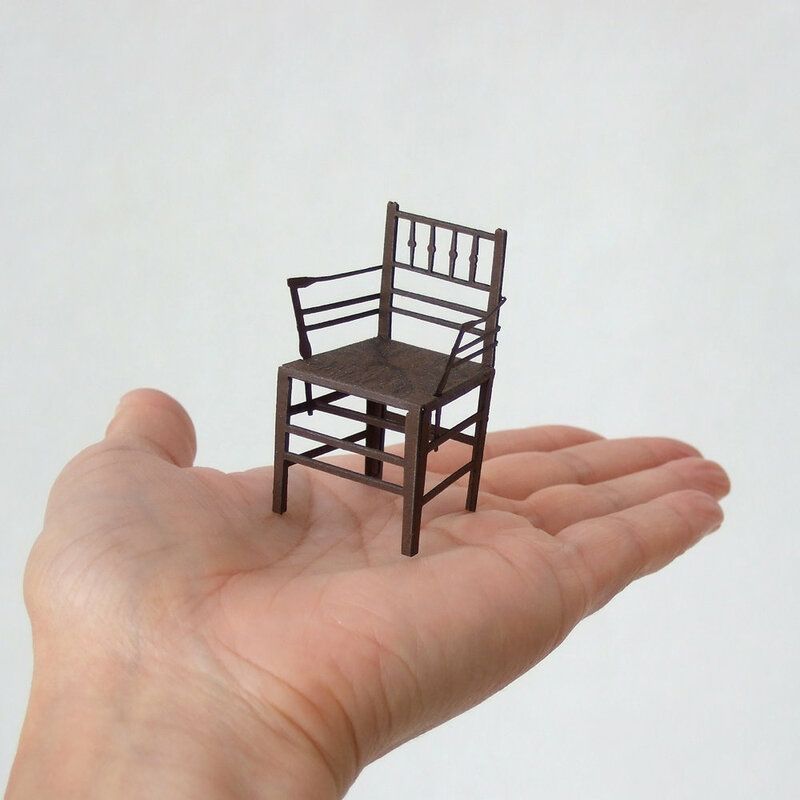 As a result, you have a little chair on your palm and it’s just about possible to apply glue to the margin of the paper to assemble this model. We tried 1:8 as well, but they were not very cute! The designer of 1:16 Collection is Tomoko Azumi & TNA Design Studio in East London. TNA Design Studio is a design consultancy specialising in furniture and products, as well as designing retail and exhibition spaces. This collection was born in the area of Tomoko’s profession and her interest in paper models and diorama, which she has been collecting. The graphic for the packages and Onetosixteen logo are designed by Risa of Mentsen. The manufacturer of this series is Fukunaga Shiko in West Tokyo, who is hosting Kami no Kosakujo. Fukunaga Shiko is a unique printer and paper fabricator, who are specialise in high quality packages and design oriented DMs and invitations. They have their own range of products Kami no Kosakujo, that many designers are involved in those products, with the mission to expand ‘the joy of paper’. Some of them are introduced internationally, such as ‘Air Vase‘, ‘Terada Mokei‘ and ‘1/5 scale paper chair‘ . Our paper models are manufactured only after receiving permission from the design right owners.